We all know that friends come in an array of shapes and sizes, and we love each of them just the same. 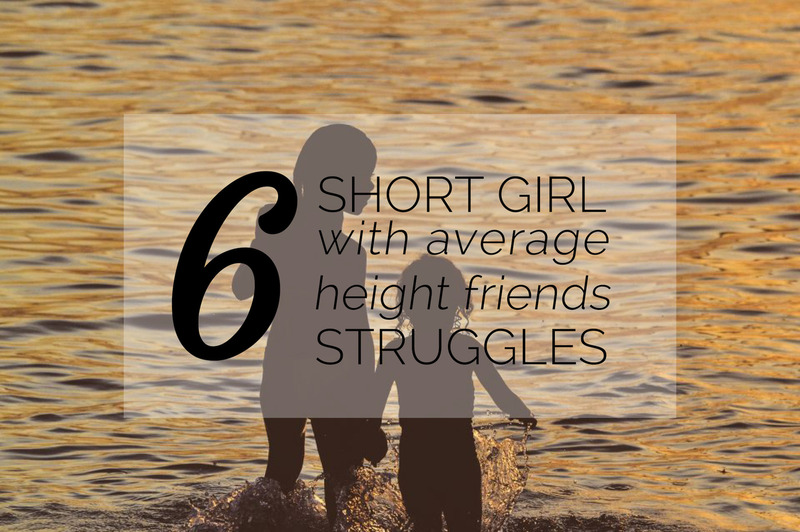 From the long-legged model-esque beauty queen we envy, to the below-average height short girl we are all to familiar with. 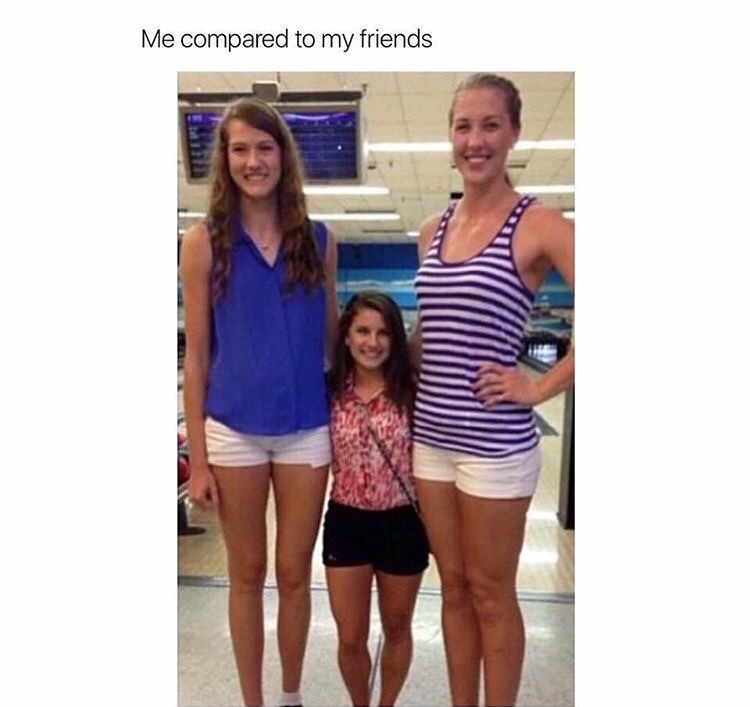 But, when you are that below-average height short girl, and you are blessed with average height or taller friends, life can be a real struggle. There’s nothing girls like to do more before a night out than try on each other’s clothes to make sure we’ve tried on every possible outfit choice. However, when you’re little legged, dresses that are the perfect length for your petite stature, barely cover your average height friend’s dignity. And outfits that look cute on your friend, drown you and drag along the floor as you walk. You want to share a special moment with your amigos, and what better way than a quick snap? Except, it’s not that simple when you’re vertically challenged and all of your mates tower above you. 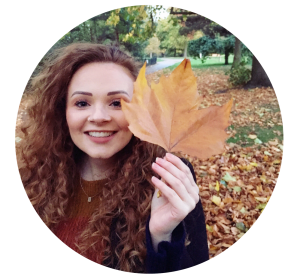 Either your entire body gets cut off so you just look like a bobbing head, or everyone else crouches down to your level – making an awkward looking photograph with lots of little people, whilst hurting their long legs at the same time. Hello up there, can you hear me? One of the problems with being so close to the ground is that you’re so far away from everyone else. This means you have to get used to never being in earshot of anyone, and people never hearing what you said the first time you say it. Queue the constant ‘pardon’s, ‘say that again’s and polite nods when they’ve asked you to repeat yourself too many times to ask again. You may as well be a child. You go to the supermarket to pick up some alcoholic beverages for the evening. You’re used to getting ID’d, so come prepared – it’s always a miracle when you don’t get ID’d. However your friends rarely carry their ID with them, and because you’re so short, the shop assistant wants everyone to hand over proof of age. Soz guys! It doesn’t matter whether your friends have known you for five months or five years, despite seeing you everyday, the chances are, they will at some point exclaim ‘you’re so short, I never realised how short you are!’ You begin to question your friendship and then your whole existence – are you invisible or just really bloody short? ← Eyebrow Tattooing: Is it Worth the Hype?